I'm new to stamping and I have just bought a Konad plate so had to try it out straight away (any excuse to change my nails lol). I've been playing around with it and thought I'd show you the outcome. 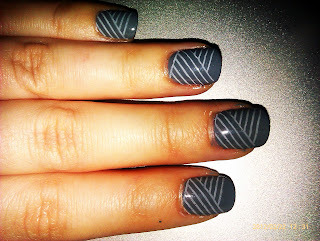 After stamping I then painted over 2 of the lines to create grey tips. This is on top of my Nailene fake nails (as they seem to be lasting for ages!). Great stamp! 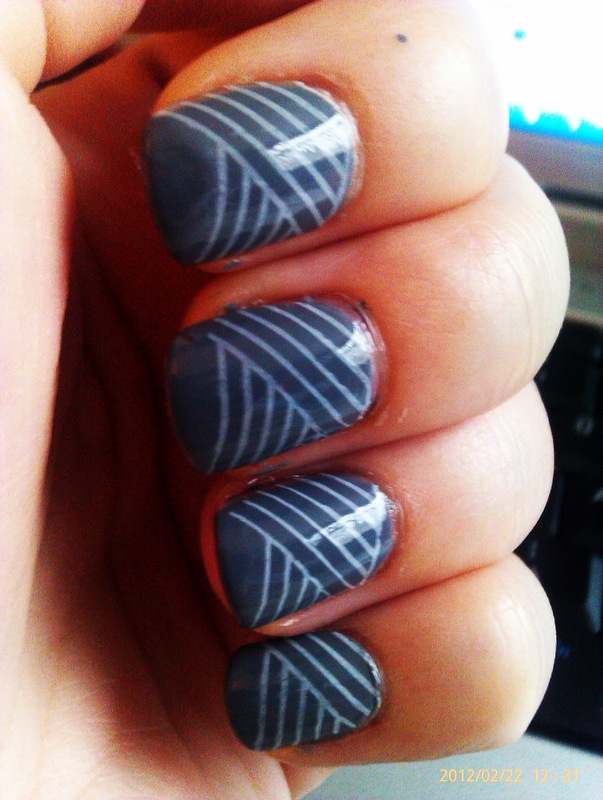 I'm not very good at stamping.